Traditionally, people would start and end the TMB in Chamonix. 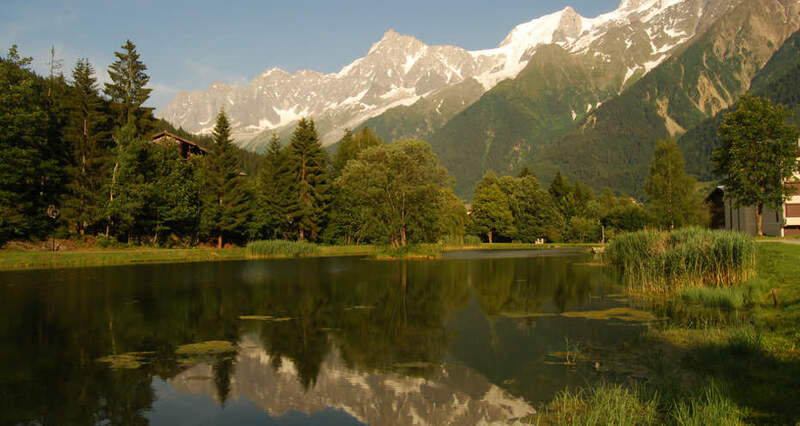 However, as Chamonix is quite an expensive to place to stay, many people stay in one of the other villages in the Chamonix Valley, such as les Houches, les Bossons, les Praz, Argentiere or le Tour. This means that they might miss out small sections and take the bus, thus slightly decreasing the distance. Many people take short bus rides along the Italian section. How many days to do the TMB? Historically people would take two weeks to do the full circuit, but increasingly people try to do it in in less time. Although the ultra-marathon runners manage it in less than 20 hours (! ), most trekkers will need eight full days. You also need to factor in a mid-trek rest day and also the journey time at the beginning and end of the holiday between your home and the Alps. Distances from official Suisse MPA PanoramaRando ‘Tour du Mont Blanc’ and French Institut Geographic National maps IGN 3630 OT and IGN 3531 ET.